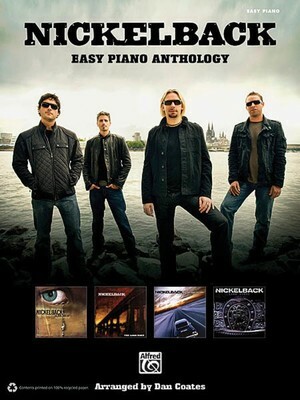 After more than a decade of hits and sold-out concerts, Nickelback presents their first multi-album sheet music anthology for easy piano! This songbook contains lyrics and chord symbols for hits spanning four albums,including the 2009 album Dark Horse. Titles: Far Away • Got ta Be Somebody • How You Remind Me • I'd Come for You • If Everyone Cared • If Today Was Your Last Day • Never Gonna BeAlone • Photograph • Rockstar • Savin' Me • Should' ve Listened • Someday • Too Bad.